Co-Optimus - News - Castle Crashers is Half Price Today! Castle Crashers is Half Price Today! 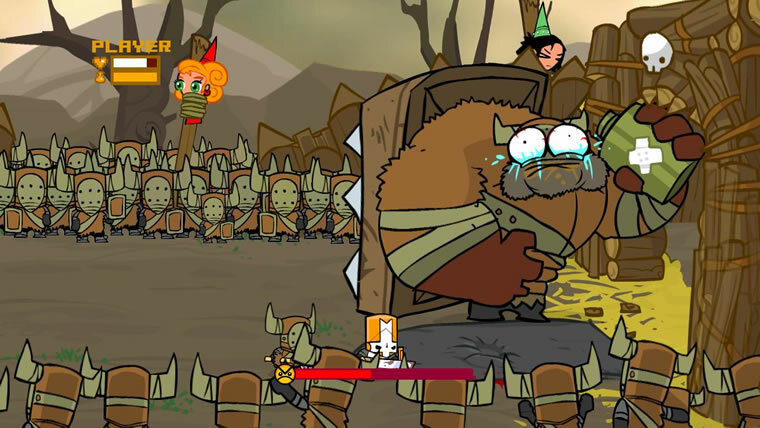 For today only, you can snag Castle Crashers on Xbox Live Arcade for 560 . Normally a 1200 point title, the four player co-op game is one that shouldn't be missed. In fact, seeing it merely mentioned makes me want to rush home and fire up the Xbox to play. It's been far too long since my castles were crashed! The special deal is part of a holiday promotion on Xbox Live, so you only have until the end of today to grab it. Really, $6 is a total steal for this title - and if you don't own it - shame on you! You can download it or add it to your queue by following this link. You Got Alien Hominid in My Castle Crashers! Page created in 0.6682 seconds.